Voter Blitz on July 14 & 15! #TeamWebb contacted over 4100 voters in House District 69 in just weekend! Sign up to volunteer for our weekly phonebanks and canvasses! 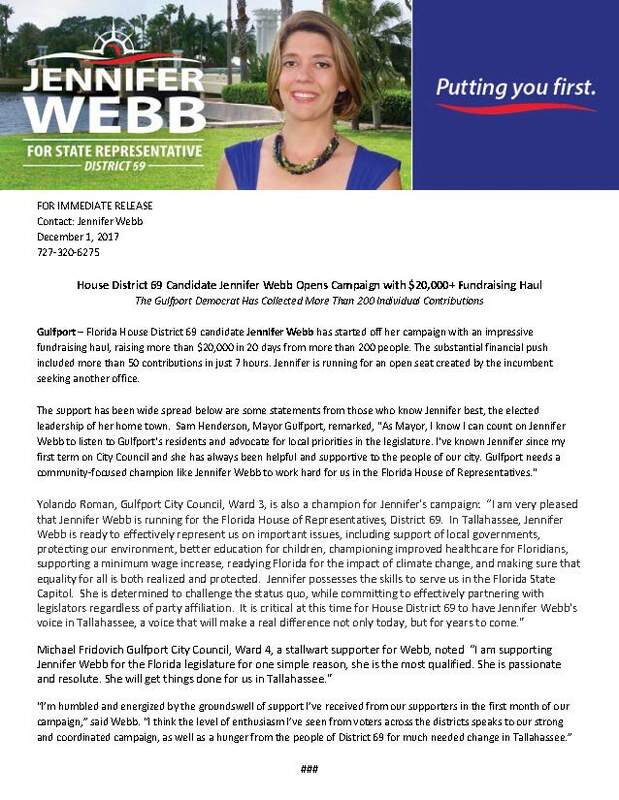 (N)ew campaign finance reports show Democrat Jennifer Webb posted the highest total for November.